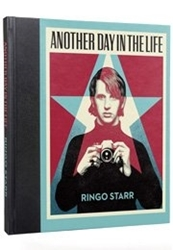 Ringo's New Book Available For Pre-Orders . Beatles Radio: The Beatles, Solos, Covers, Birthdays, News The Fab 4 and More! On Saturday 7th July Ringo Starr celebrates the 10th anniversary of his Peace and Love Birthday. Ringo will share the day with fans, friends and family at the Hard Rock Café in Nice, France and will be joined by followers in over 23 countries worldwide creating a global wave of peace with a simple call to action: to think "peace and love" at noon. To coincide with this landmark anniversary, Genesis and Ringo Starr are excited to announce the publication of the signed, limited edition.